(Mr.Uwe Friedel) Mr.Nelson Mandella, former president of South Africa, said this. “If you have a wish and vision, you can accomplish everything. If you don’t have any vision, you cannot accomplish anything”. I agree with him. I want people in Germany get to know more about you and your activities. We want to let my group--only small part of people-- who follow us about you. (Mr. Yoshimaru Higa) Let me start by talking and explaining about my mother and then go to the main discussion. How long do we have for this interview? (U=Uwe) I have 2 or 3 hours so it is enough. I am very happy to meet with two of you: Yoshimaru and Rica Higa. Let me start with this first question. Where are you from? (Y=Yoshimaru) Okinawa, which is in the south of Japan. (U) Okinawa is a bit far away from the center of Japan. As for the spiritual background, is the thing in Okinawa different from the ordinary one in Japan? For instance, you have Buddhism, Shintoism, etc. in here. (Y) Well, it is a bit different. We have our way of worshiping our own ancestors. Also, we do have our way of worshiping the nature. (U) Is it shamanism? According to the information about your activities sent to me, you are travelling throughout the Japanese peninsula by praying. What is your main purpose of it? (Y) As you probably already know, my mother got hit by the atomic bombing. I have been taught a lot from my mother and I carry her messages. Now, I have to tell you what I am thinking. I carry the sense of crisis that this Mother Earth may end and perish if another World War should occur. We are doing what we can do based on this assessment. In other words, I carry the vision of the 3rd World War. This is a revelation which reached me a while ago, Also, the vision of the political and economic destructions and collapses, and more devastation of the environments on the global scale. We are doing what we can to try to stop such a trend of possible crises. I got this vision in 1996 for the first time. In the New Year’s Day, this vision got clearer in my head. For instance, I could see the incident of the September 11, 2001, wars in Afghanistan and Iraq of 2003, the dispatching the Japanese Self-Defence Forces to Iran by the Japanese Government of 2005, the advent of a black president of the United States and the economic crisis of 2008, the natural disasters in Asia such as drought, etc., and that there would be another bigger economic crisis coming during 2010 and 2011. All this would lead to a war: the 3rd World War. If an unexpected natural disasters would add to the outbreak of such a war, it would be a terrible situation in which the whole environments would be damaged and destroyed, the unexpected natural disasters and political/economic collapse become realities. All this would lead to a big war inevitably. This terrible vision came to me. This is why we started moving and visiting around Japan by praying. Some visions come to me a few years before they actually happen, and some come all of a sudden. As a matter of fact, one came to me in the middle of the night and kept me awake and in a panic last night. It was terrible. (U) So it(the revelation) comes to you all of a sudden and it would not ask you for your favor. (Y) We are visiting forests, rivers and nuclear power plants that are related to the air and sea currents. These places are most vulnerable places. (U) You mean nuclear power plants in Korea? (Y) No, it is in here—nuclear power plants in Japan. I have a feeling that there might be terrible undesirable happenings such as critical nuclear accidents, etc. You have 15 nuclear power plants in Germany and we have 55 of them in Japan. Japan will be the number one or second power in the world in having many nuclear power plants, surpassing France in the near future in my guess. As a matter of fact, many accidents are already happening in the nuclear power plants in here, but the Japanese Government is hiding them so that ordinary Japanese citizens would never know about them. The Government is speaking for the improvement of the environments, but this is only a camouflage. In fact, what they are planning is increasing the numbers of nuclear power plants in Japan. We can do something about the renovation of the destruction of the environments, but the situation would be completely different in case of terrible critical accidents of nuclear power plants. If such a terrible and critical nuclear accident would occur, it would create a world of DEATH. Once such occurred, it would take thousands of thousands of years till we come back to normal. We humans should be much wiser. Too bad such an accident did take place at Chernobyl in Russia. Such a very sad happening. If we humans are wise enough to realize that we can use our own memories and lessons for the better, then we should do so. I have to tell you that any sporadical/ critical nuclear accident may take place in Japan at any moment. Moreover, let me tell you the fact that the whole Japanese peninsula is situated on the 4 big plates, and it is over many big volcanic belts. So, we have to know that any big earthquake can happen at any time in here. The big earthquake in Niigata(center of Japan, rather north facing the Sea of Japan) of 2007 did stop the functions of nuclear power plant there. Anything could happen. You know, we not only praying around but we are talking about it to the local people. But it is difficult for us to tell them the realities straightly because they would not listen to us sometimes. In conclusion, the problem of nuclear power plants in Japan is not only the problem of Japan alone. It is the problem of the world. Once a critical accident occurred, the radioactivity will be carried by the air/sea currents to all over( China, the United States of America and Europe)and prevail around. I hope you understand that everything is connected this way. Once the released radioactivity from nuclear power plants get in the air current, you may have “black rain” in Europe, the United States and everywhere. This is not, therefore, the problem of Japan alone. This is the issue we have to see as a global problem. This is more terrible than that to be caused by the deployment of nuclear weapons. Why? Because it would put the entire world into a big trouble. I have such a sense of crisis, you know. I hope you understand it. The destruction of the environment, natural disasters, problems of nuclear power plants----all these are the problems for the world. Once a big war took place, we humans may lose our sense of reason and resort to the usage of nuclear weapons. We humans do have such a potentiality. The vision that I had and received does not necessarily mean that it would actually happen in reality. If we do resort to some actions now, we can move toward a better direction. We have the possibility to lead people to a better direction. By transcending all the barriers such as religion, culture and race, if we humans could move and act as one, the world can become as one. This is the vision that I have received. (U) You mean, all the life will become one. (Y) Now, as for “spirituality” or “being spiritual”, there are many people who are taking this quite different from the reality. It is a fact. Some think that some day aliens or ETs will come to the Earth and save us. Such is an illusion. (U) We do have the same kind of people in Germany. (Y) So, what we have to do is try to solve our problems one by one. The problem of the environment, that of nuclear power plants, etc. We have to give this world to our children and grandchildren, our descendants. We have to tell them that it is important to let all the living life on this Earth is to be living. We would like to keep telling people about this based on our own sense of crisis. Many Japanese people are saying that “our future is quite bright” or “if the political/economic situation had collapsed, it would invite a new world”. It is not that. They are only dreaming. All we have to do is to see and learn what it is in reality. Then we should move ahead toward our own future. We have learned a lot from experiences in the past, such as the 2nd World War, the accident at Chernobyl, famines in Asia and Africa, etc. So, we have to learn some lessons from all this. I believe that we already realize it and therefore we can achieve our own future with our wisdom. One more. We are facing the movement of the Earth’s crust or diastrophism now. (U) I don’t understand that. (Y) After this period of the movement of the Earth’s crust, we have a very slight chance for all the living life to survive on Earth. I don’t want that happen. So, it means we have to move on our own. It is too late to move after a thing occurs. We do have our lessons already, and so why don’t we move now? We have to care for all the living creature on Earth rather than our respective national interests. We are living in such a time. Now about us. We have been moving and acting based mainly on praying all around up until recently. From now on, I would like to put more emphasis on the importance of “communication” or “sending messages”. We will set up our own English website this year with the help of Mr. Yoichi Teraishi. We will try to act together with people who carry the same ideas and findings. If someone from outside of Japan would like to tell something in Japan, we would let them do so. We will widen the ring/chain of our communication. Now, as you know, we witness too much mixed information concerning “spirituality” or “being spiritual”. Now is time to see what is really important for us. We all have to find it. We would like to tell people what is really important for us. And we would like to resort to actions, not praying only. Both are important. (U) I have already heard most of what you have in mind. You have prayed at many nuclear power plants and other places. Do you think that the prayer is good enough? What kind of cooperation do you think we need for a better cooperation? What do we need for a change? (Y) That is the most difficult part to answer. Maybe it is something to do with my own ability, but I am hoping that no one will fight each other or pulling down someone from his place. We are doing “prayers for calling”. What we are hoping is that each person will or does care for someone who is most important for him or her---this is the clue and basis of our actions. Each person cares for someone who he or she considers most important. This is the very spirit of caring. (U) I understand it. Whenever I write something about you, I will send it to you before it gets printed for your check. For this, I will translate my writing in German into English. Now, about praying. It is difficult to pray seriously. Sometimes we may not find right words for it. What do we need to expect or have for a genuine prayer? (Y) As I said earlier, you need to care for someone who is most important for you. Try to imagine your world in 10 years ahead. Think about your own family. Try to imagine your own ideal. Make your own image of it. Try to do your best to make it a reality. That itself is an action to make the world better. The future you imagine should be in peace, ease and stable. You try hard to get yourself closer and nearer to such a future. That itself is a making of a peaceful world. That is what we mean by “being happy”. (U) Tell me about your plan for next month and next year. (Y) We would like to visit Taiwan this year, if possible. And, we’d like to go up north to Kanto and Hokkaido. Next year, we would like to spread and widen our ring/chain for communication in real terms. First, we will have to have more solid foothold for further actions. After we consolidate it, we will start our actions probably after next May. We would like to tell people outside Japan about our actions. And, we can also visit them for more communication. We can pray together. These actions are not religious ones. They are appeals to people to let them pray honestly from their own hearts. I hope that we can resort to more actions next year. (U) I understand it completely. (Y) Let me tell you one thing so that you will not misunderstand us. There are Buddhists, those who believe in Shintoism, Christians and so forth in Japan. All we will do is to act on our own, not based on religions, but by understanding many different ways of thinking, religions and values. (U) I understand. Now, this is a personal question. You are travelling hard around Japan together, two of you. I guess it is quite tiring and exhausting. How do you manage that? (Y) To tell you the truth honestly, it is the bad part of the Japanese people---“gaman”(endurance) and “nintai”(patience). (Y) It is the worst, if not important, part of the Japanese. It is the worst part of myself. I tend to think only about myself. For example, going from Hokkaido to Tokyo overnight by driving a car. In another case, I almost order my wife sometimes to act with me accordingly. This is a very bad part of me. There has to be something done to change it. (Y) I would like to ask my wife to concentrate her area of action and job around or in Okinawa. She is burdened with so many things to do all alone and I will have to let her be freed from them. In order to let her be more free, we will need more assistants or someone who extend assistance for us. (U) Now what about the younger generation? Are they interested in your activity? (Y) There are few young ones who are interested in our activity. At first, some of them get interested in what they think “spiritual”, but they tend to leave us after I tell them what it is in reality. (U) The reality is a hard one. (Y) I hope some day they will notice the reality and join us and act together. (Y) If you gather a few people, and if you have some occasion or clue, someone who are staying away from us, may find us and join us. We may find such a clue or occasion for gathering when visitors from outside Japan visit us. What can I say? You know, the young ones try to see something spiritual the way they expect and dream about. But, some day, they may see the reality and find time to join us in activity. What is most needed now is to collect “right” information from abroad. I mean “wonderfully cheerful” information rather than typically super-spiritual ones. For instance, you know the Hopi Tribes. They are such peaceful people and do not like to have confrontation with people. In short, what I am saying is that I would like to tell the truth to people after getting and knowing the “right and genuine” information firsthand. By telling people the truth, we can share the truth to each other. By understanding the values we have on our own, we can do it. Though there are differences of culture and surroundings, this can be possible, I hope. Some Japanese people are dreaming too much. That is why it is so important to tell them the “right and genuine” information as it is. For example, we will definitely need the wisdoms of the Aborigine People of Australia and the American Indians when we have to cope with the environmental issues. If there is anything that you do not understand, I will write about it so that it will be easier for you to understand us. Those things are easy to grasp and understand once you contact and talk with the indigenous people around the world. (U) Concerning this, I got to know about it, maybe 30 or 40 years ago. It was in 1984. The North America’s indigenous people opened their doors outside and told us this. “The Mother Earth itself is in danger”. They sent their own message and told us this. This message was accepted by many Germans. My teachers as well. I learned about this from my teacher. (Y) We have opened our door to our Sacred Place, our Shrine. (U) Over a few years, I have tried to find who are the bad guys who did hurt our Mother Earth and created this crisis. After that, we did resort to an action. We held a ceremony and did a wishing dance. In 2007, we were told to put a ball of gold to volcano to ease the Mother Earth. We didn’t buy gold. Many people brought their own gold rings that they no longer use, etc., and we made “a ball of gold”. Then, we threw this into the burning volvano(Stronbory?) in Italy. We went to Italy by boat. Then, a strange thing happened in the boat. One elderly woman came to me and talked to me. She said: “I am from Israel. I am a Jew. I want to go to Italy and try to help you throw that ball of gold into the volcano, but I cannot. So please pray for us Jews, too”. In the Bible, as you know, all three religions are introduced and written: the Christians, the Jews and the Muslims. So, when we threw this ball of gold into the volcano, it meant three ceremonies. One, for the Mother Earth to heal. Two, for us Germans to heal. Three, for the Jewish people to heal. We did it all at once. One more interesting anecdote. When a volcano exploded in Iceland, I was in Poland and I could not fly by plane. So I changed to a train. On this train, I met with the Jewish people who were once in Auschwitz Concentration Camp. One living in the United States and the other in Australia. Our ancestors did prosecute the Jewish people there a long time ago. Talking with them, I did feel how important it is to do something to heal people as a human being. Also, I felt how important it is to preserve the nature as it is and try to heal the people. (Y) Healing is very important. Please tell that to people and continue your ceremonies. If you can, please come to Japan and let us do a ceremony at Mt. Fuji together. (U) I am still young and I can do it. I will tell this to my elders. (Y) How about next August? (U) It is nice. OK.
We have our nuclear power plants in Germany. The serious problem now is the issue of nuclear wastes. They(the Government people) have thrown them at one place( some place close to the French border?). They were hiding it but at a certain point it was publicized and the public got to know about it. 4 years ago, we did resort to a big protest demonstration. They come once in every 2 years to throw away the nuclear wastes, in November by train. There were 20,000 protesters and there were about 20,000 policemen to pacify us. Next year I am going to join the protest. There is no place on this Earth to throw away the nuclear wastes. The government, which is supporting the industries that are building nuclear power plants. So they are hiding the facts. But, the voices saying “ we no longer need more nuclear power plants” are increasing inside Germany. The actions we can take from now on, something the American Indians have already taught us, is to unite and get together. At present, our power is still a small one. But, if we continue, this power will get stronger. We are at such a stage. (Y) When is your ceremony? (U) We are not doing it periodically. It depends. So now, we are waiting. When we get a new information, we will act immediately. It is hard to call people and let them come together to protest together. But it is a barrier that we have to overcome. It is so because life itself is more important than anything else. Life itself is more important than something we get out of nuclear power plants. (Y) In 2011, on April 1, we will have a ceremony at the place where the American soldiers landed in Okinawa in the 2nd World War. On Aug.6, on the day the atomic bomb was dropped on Hiroshima, we are planning to have another ceremony in relation to the accident at Chernobyl. We will pray for the environmental improvement as well. If all right, please join us. (U) Tell me exact dates. All right. Perfect. Wonderful. (Y) We extend and broaden our ring/chain of communication. If we continue this with conviction and endurance, and if we never give it up, we can accomplish anything. Let us do it together. (U) Thank you very much. (Y) It is wonderful that you gave a medicine to the volcano. You can do it at Mt. 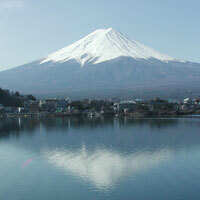 Fuji or in a volcano in Hokkaido in season( between July and September). (U) As far as I know, that “ball of gold” would value about 5000 yuro. It is something all of us made with the cooperation from everyone involved. By collecting many gold rings that people no longer use and melt it all and made it. Gold is very good for depression. It will heal depression. By sending it into the Mother Earth and it would help heal people on Earth who are suffering from depression. German elders are saying this—“the Spirit itself started it”. (Y) Well, it must have been very effective. I wonder if there is anyone who can donate us a big amount of gold in Japan., ha,ha,ha. We will call for participation in the ceremonies for the future for 2 or 3 times, and so please join us. (U) I understand it. I will translate whatever from German into English when I send something to you. (Y) I will burn a letter of message by the power of fire. The fire will heal us. The smoke goes to the creator and the ashes are presents to Mother Earth. I will write the message myself. I will do this every year. And, we will set up an English website soon, so join us. (U) Yes, I hope so. This is a small presents for you. Please accept them. This is the message from the conference of climate in Copenhagen in 2008(“Let Us Live!”). There is a message in Japanese. (Y) Do you have time for prayer? (U) We don’t have a set time for that. When we think it is the time, that is the right time for it. (Y) Let’s take a photo together.